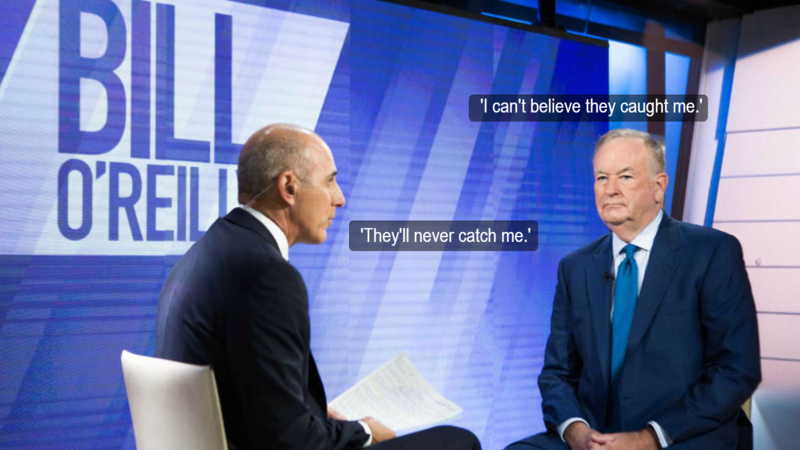 If you’re like me, you can’t get the image of Matt Lauer grilling Bill O’Reilly out of your head – so, this is what leadership looks like? There are undoubtedly many more names to come out so I’m hoping public fatigue doesn’t set in. These ladies deserve to have their stories heard. And maybe it’s the husband or dad of three daughters in me, but these “men” deserve punishment. And not just being fired from jobs. Criminal punishment. Time Magazine is compiling a list of public figures who have been accused of sexual misconduct after the Harvey Weinstein news. It’s now a list of 60 – and growing. “Men” in power, look out. Your time is up. Forbes contributor Frances Bridges has a great piece on your holiday break job hunt. Our favorite? Buy people coffee. Yes we love coffee. But we love the chance to interact with ACTUAL HUMAN BEINGS even more. I tell clients every day that the key to landing a great gig is networking. This is not a secret. Reach out to a former colleague or boss and invite them to coffee. Keep the smartphone in your pocket and actually engage in conversation. Find ways you can help each other and watch the job search magic happen. Have you checked out our recent Resume of Failures blog? One year ago Princeton Professor Johannes Haushofer recognized the importance of owning his failures. He published his CV of Failures on Twitter for all to see. How refreshing! We’re not suggesting you send in a resume of failures for your next job application. But understanding where you have failed and leveraging your lessons learned…now that’s failing smart. Forget Uber. Become a professional bike courier! Scripts Rx Pharmacy is hiring Bike Courier Technicians to deliver prescriptions to customers throughout the downtown Chicago area. For up to $16 an hour, you’ll transport up to 20 prescriptions per day via bicycle. Stay in shape while delivering critical medicine. It’s a win-win! Joe Szynkowski is the Owner and Chief Writer of The UpWrite Group, a strategic writing firm serving executives and entrepreneurs of Fortune 500, small businesses and startups. He loves telling stories about what leadership looks like in corporate America.